Cashless Denmark: Should total e-commerce be embraced? With Denmark moving towards a completely cash-free economy there has been a heated debate between the experts who think it’s a natural thing caused by technological development and those who warn that total traceability has a dark side. The Danish government has proposed that certain businesses such as petrol stations, restaurants and clothes retailers should no longer be legally required to accept cash. 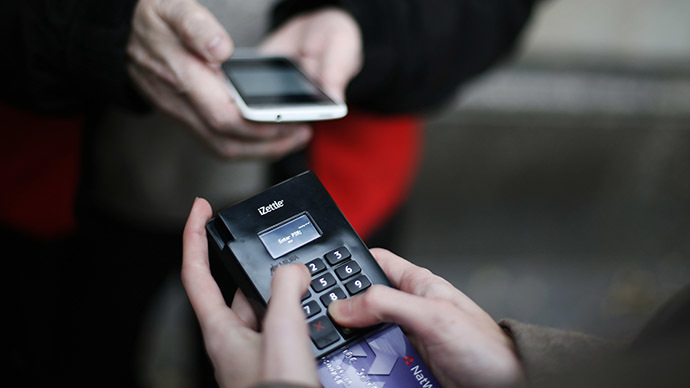 Moreover, a third of the Danish population already uses a mobile payment app when making transactions. Is this trend a natural pace of progress or are officials blinded by seemingly posh perspectives? RT has spoken to George Harrap, CEO of Bitspark, a Bitcoin startup, and Robert David Steele, IT strategic analyst and innovator, whose biography can be found on robertdavidsteele.com. "Most countries these days already have an electronic money supply. Ninety percent of the currencies are actually electronic. I think it’s already there in some respect. However it’s all about user adoption. So it seems like [in] Denmark and Sweden, there is a large percentage of the population using electronic money. So it all comes down to getting users on board, getting people familiar with using that sort of form of currency and also getting businesses on board. At the end of the day it comes down to the user of what’s going to be a better payment option – is it a central bank-backed currency from one country, which may have certain limitations, or for instance Bitcoin that you can use it anywhere, anytime. It’s up to users to decide. Bringing it all online is going to make that decision easier, especially as everyone has a smartphone these days." "Denmark and Sweden are trying to force-feed a cashless society on a legacy digital world that is very corrupt. Most systems have old legacy code. They have not been written with open source security from the beginning. So frankly I wouldn’t trust most systems. Part of the problem is also that banks make so much money that they’ve been able to afford the cost of hidden corruption. Another issue may be that governments will find it easier to eliminate all forms of tax except for the automated payment transaction tax – that needs to be collected on a merchant and on each transaction. A cash-free society needs a complete redesign from the bottom up. One of the reasons that IBM Smarter Cities initiatives fail is because they are trying to make legacy systems and fossil based energy smarter rather than starting from scratch."